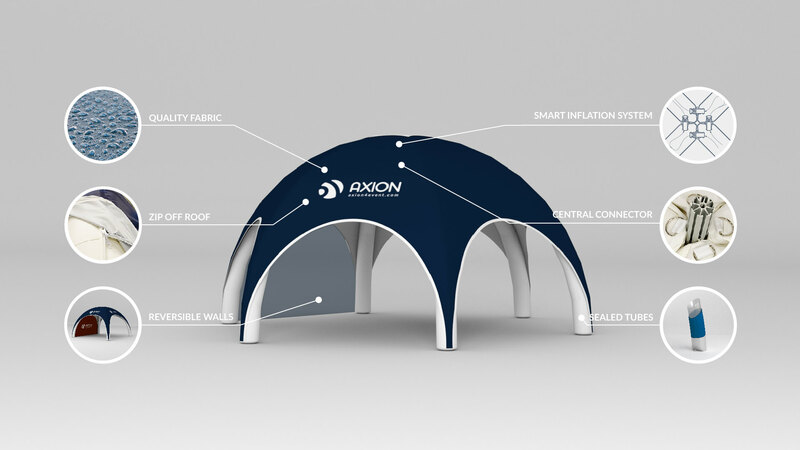 CONCEPT – Based on traditional spider inflatable dome concept, AXION|SPIDER is a combination of big hexagonal shape dome and a unique AXION system of sealed structures. 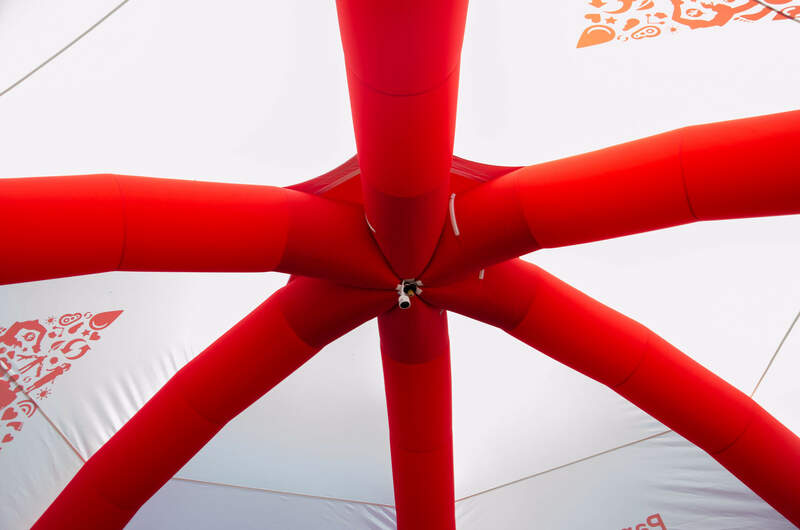 SPIDER provides a big space and also high wind resistance thanks to more inflatable structure elements. 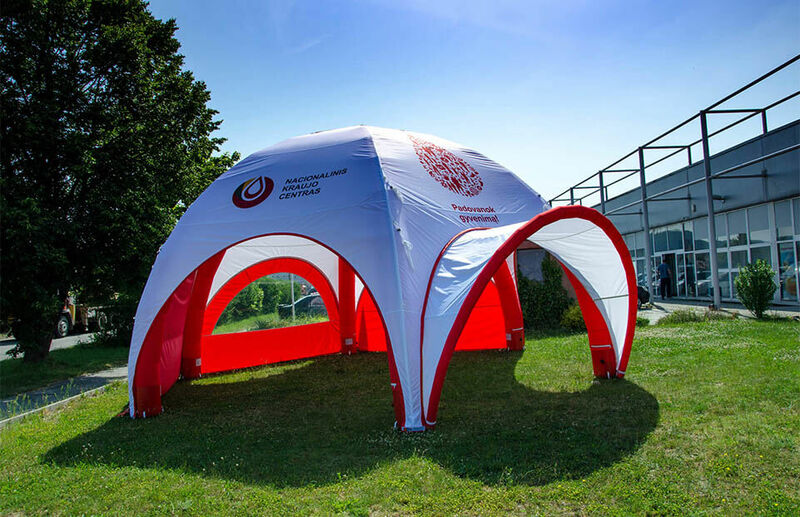 Additionally, it is the only spider tent on the market available with inflatable visors. 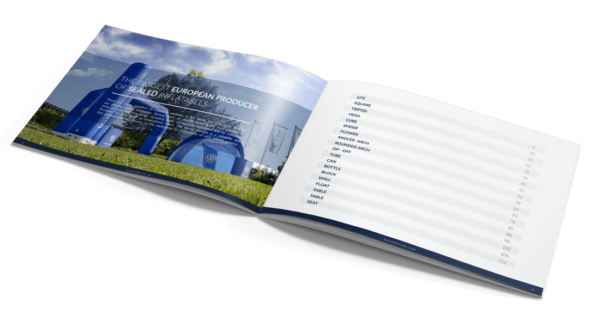 All of this without necessity of permanent power supply! 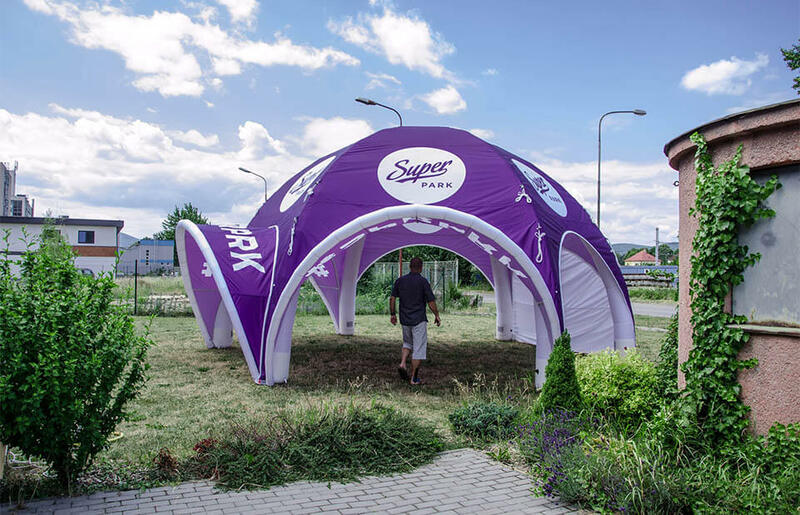 COVER AREA – SPIDER is ideal for large events looking for a contemporary and unique design. 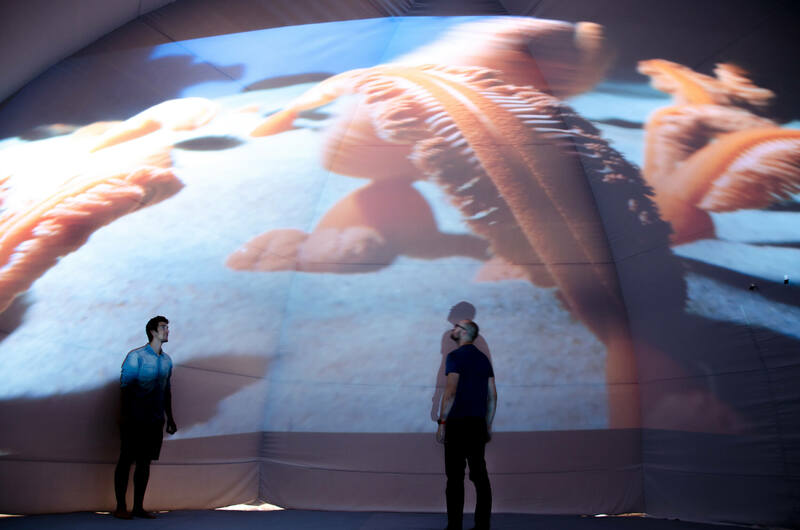 It offers a floor space of 42m2 up to 80 m2. 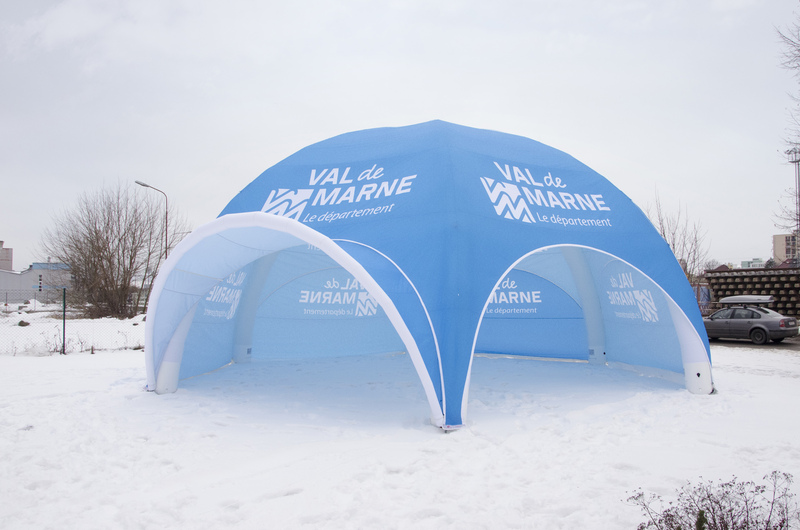 Available in a range of sizes and options including zip-off reversible walls, optional visors and branding that would meet your event requirements. 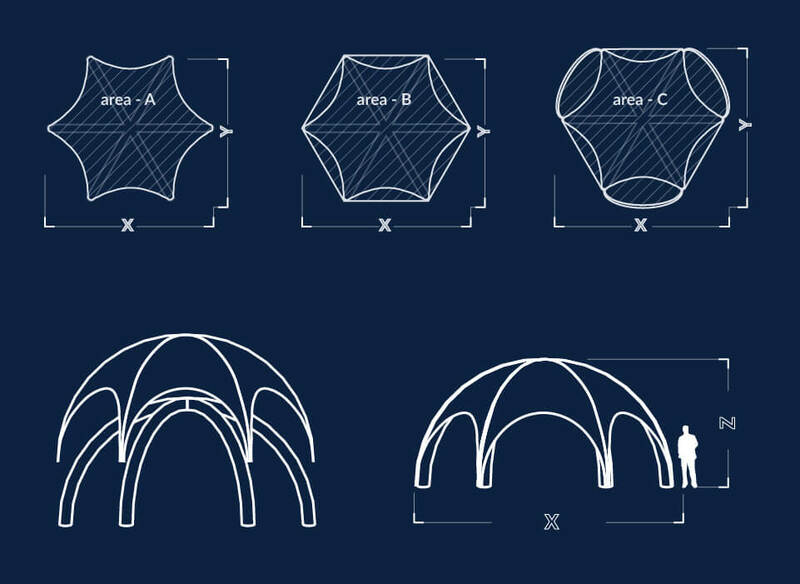 A variant of SPIDER 10 with 3 visors (occupied space 74 m2) provides a contemporary solution to conform with legal requirements in most of countries (no necessarily for local building permissions). 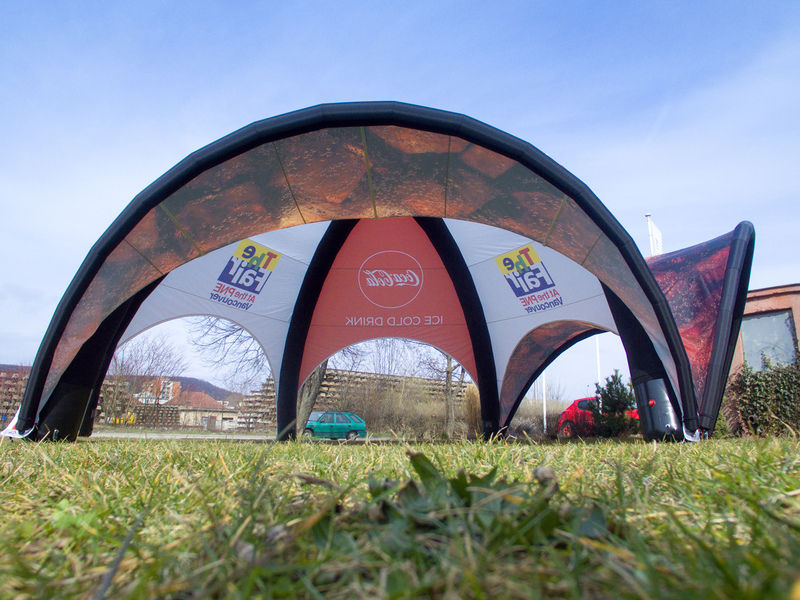 The SPIDER is engineered to amaze with the added ease of setting up. 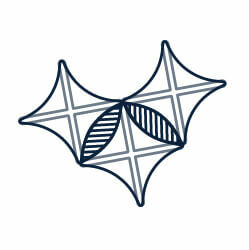 HANDLING and SET UP – SPIDER is made of strong, but lightweight polyester fabric with contoured legs. 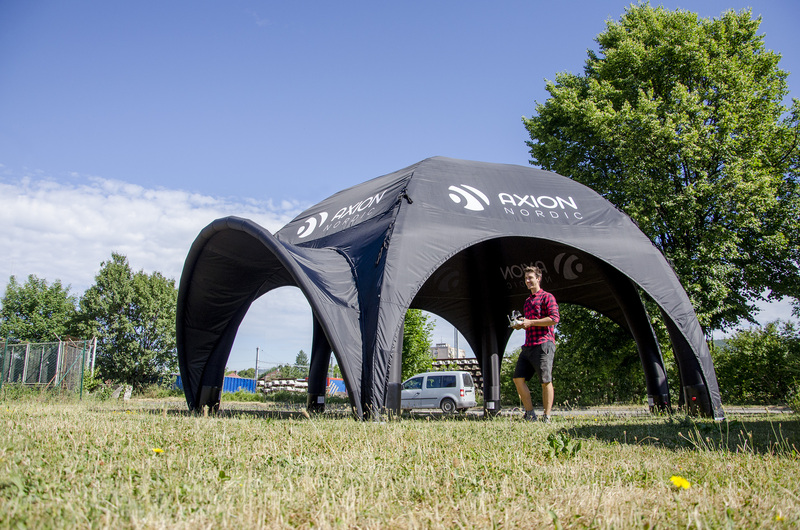 Using our AXION smart inflation system (that controls the airflow using the central valves system), requires no more than 2 people to set up and will take less than 20 minutes to assemble. 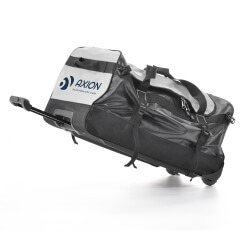 The entire dome packs down into a compact carry bag that fits into any standard sized car, making it perfect for any roadshow or event. 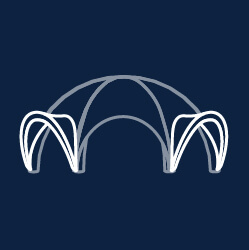 THE ONLY SPIDER DOME AVAILABLE WITH VISORS.